I don't want a sports car or a mansion, my wants and needs are very modest. However, I have really wanted a threadcatcher since I saw some variations on Pinterest! This one features a chicken. 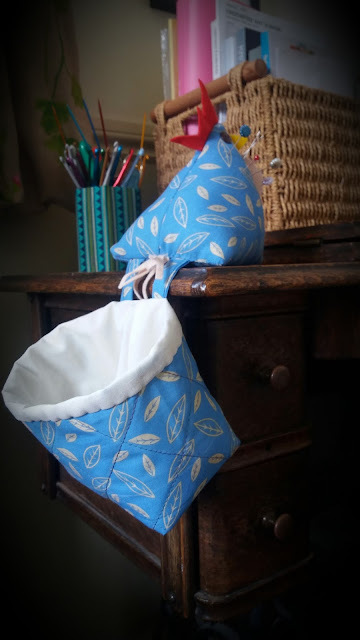 The pincushion is weighted and the bucket is for threads. The bucket lining pulls outwards so that you can empty it easily. I really enjoyed making it. Here he is sitting on my Singer sewing machine being put to good use. A great item to make for yourself or as a gift for a sewing pal. 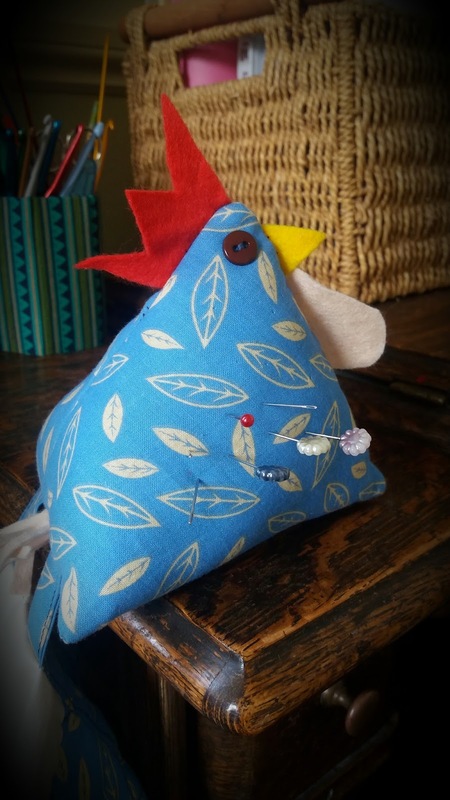 What came first the chicken or the pin cushion? How cute! I've never seen one of these before. 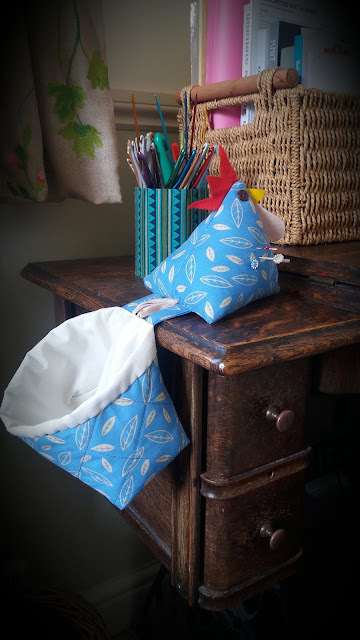 I usually just make a nest of threads on the table to the right of my sewing machine as I work. Then I forget I put them there, and go to put away the sewing machine because I have to work at the kitchen table for lack of a more static sewing place, and knock all the threads onto the floor. Then I unwittingly walk through them and spread them through the house. Sigh...I need a thread catcher! That is wonderful, I have never come across one before. Inspirational. How useful is that then? What a good idea. Love the chicken pin cushion. What a cute, and useful, idea. Totally brilliant. I usually let my ends drop to the floor and then it takes ages to pick them up and they get stuck to everything. In winter, I just chuck any yarn ends straight on to the fire.